The Falkland Islands located in the South Atlantic Ocean off South America are the perfect destination to experience the wonders of nature and wildlife; an unpolluted environment with fantastically clear blue skies, seamless horizons, vast open spaces and stunning white sand beaches. Wildlife is free to roam and many species have chosen the islands as their home including gentoo and magellanic penguins, southern sea lions, Commerson’s and Peale’s dolphins and over 200 species of birds. This trip is designed to maximise your time with the wildlife and experience a small group intimate experience. 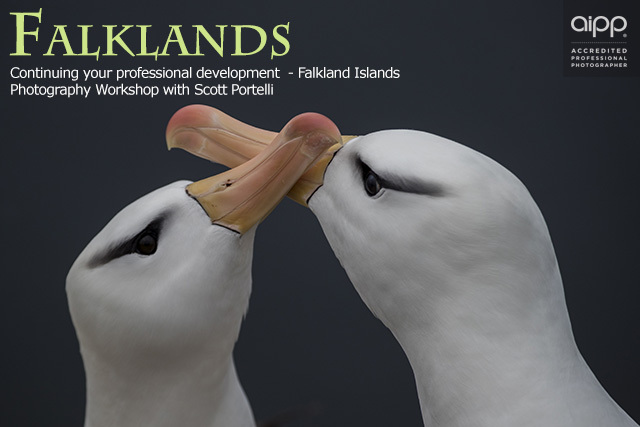 Join a multi-award winning photographer on the ultimate wildlife opportunities to see sub-antarctic species in one of the most inaccessible places on the planet. Boutique tour group – Maximum 5 people plus 1 host. Unique up close and personal wildlife viewing including visits to penguin and seal colonies, bird watching opportunities and experiencing the natural beauty of the Islands. Expert photographic advice from an award-winning wildlife and nature photographer. 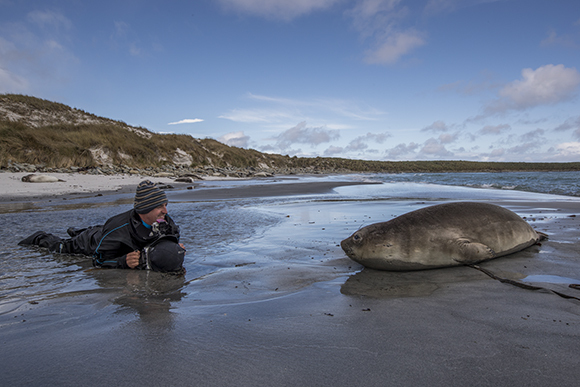 Included: Internal flights (Falklands), accommodation (14 days), all meals, expert award winning wildlife and nature photographer as guide/host. The International luggage allowance would be 2 pieces at 23 kgs each (46 kg total) per person when you book with the group. If you want to find out more contact me. Most of the excursions are by 4WD or the walk is less than 500 meters from where we stay, so we can comfortably get around and see all the amazing wildlife up close and personal with minimal travel. Scott Portelli is a Sydney based photographer who has traveled the world extensively photographing in some of the most remote destinations, including The Arctic, Antarctica, Falklands, Galapagos, Azores, Africa and the South Pacific. Scott is an award winning wildlife, nature, aerial and underwater photographer. A member of the Australian Institute of Professional Photography (AIPP) he is regarded as a leading professional in his field. In 2016 Scott was announced National winner of the Sony World Photography awards as well as awarded at the at the prestigious wildlife photographer of the year and with an honorable mention at the National Geographic Nature Photographer of the year. Since then he’s also been awarded at the Sienna International Photography Awards 2017 and won at the renowned Australian Geographic Nature Photographer of the Year ANZANG 2017. With his experience in the Sub-Antarctic and Antarctic regions, he brings a wealth of knowledge to every expedition and ensures that each trip optimizes photographers chances to capture the best that the wildlife in the region has to offer. 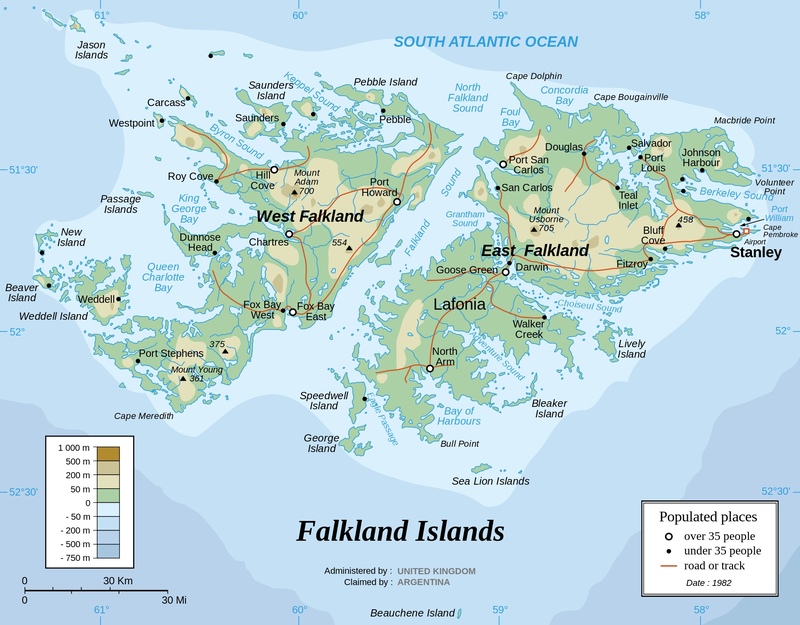 Upon arriving in the Falklands, you’ll be received by International Tours & Travel, then transfer by domestic flight to Sea Lion Island (~35 minutes) where you will enjoy a guided introductory tour. Sea Lion Island is home to elephant seals, gentoo penguins, magellenic penguins, rock hoppers, sea lions, birds of prey and cormorants. Beautiful tussac plantations cover one fifth of the island and provide a perfect habitat and protection for much of the island’s varied fauna. Opportunities for photography and wildlife watching are limitless and start literally steps away from the purpose-built Lodge. Besides the tussac, there are sand beaches, cliffs, freshwater ponds and heathland, all with their own wildlife. Pods of killer whales may be seen between November and January circling the island in pursuit of the elephant seals and sea lions that breed there. Leopard seals and larger whales are also seen from time to time. A memorial to the HMS Sheffield, sunk in nearby waters, is also situated on the island. Weddell Island is populated by just two humans, leaving room for a huge amount of wildlife and a peaceful wonderland to explore. You can spot sea lions nestled in the tussac grass, alongside Gentoo and Magellanic penguins and cormorants. You may even encounter a unique island resident, the Patagonian grey fox – while not a native they still provide a beautiful subject for photos. The island features open rolling hills, sandy beaches and rocky coves which you can explore while searching for the albatross, petrel, caracaras and hawks that fly overhead, or the unique endemic plants at your feet like Lady’s Slipper. Get a view over it all after an invigorating hike to the top of Weddell mountain (1256 feet high). Or take a walk along the sandy beach at Mark Point, close to the settlement and home to a Gentoo colony and whale skeletons onshore, and playful dolphins offshore. Pebble Island is not just home to a huge and unique array of birdlife, but also a chance to see the panda-like Commerson’s dolphins and the rare Falkland fritillary butterfly (the only breeding butterfly of the Falklands). Birdlife includes four penguin species (rockhopper, gentoo, magellanic and macaroni), southern giant petrels and many waterfowl and wading birds like the red shoveler, cinnamon teal, black-crowned night-herons and imperial cormorants. The heathland, low cliffs and numerous ponds are also home to one of the largest populations of black-necked swans. Unusual translucent pebbles found on some of the beaches give the island its name. Volunteer Point is one of the most popular and important tourist destinations in the Falklands. There is an abundance of bird activity in the area and is home to the largest king penguin colony in the Islands, as well as gentoo and magellanic penguins, waterfowl and other birds. Volunteer Beach itself is a beautiful white sandy beach, approximately 2km long, and is where many of the penguins can be seen entering and leaving the ocean. The Cape Dolphin peninsula is a National Nature Reserve, featuring beautiful scenery inhabited by an array of wildlife. It is home to southern sealions, as well as a breeding site for gentoo and magellanic penguins. An amazing variety of waterfowl and wading birds occupy Swan Pond, such as Chiloe Widgeon, speckled and silver grebes, black-necked swans, and white-crested grebes.